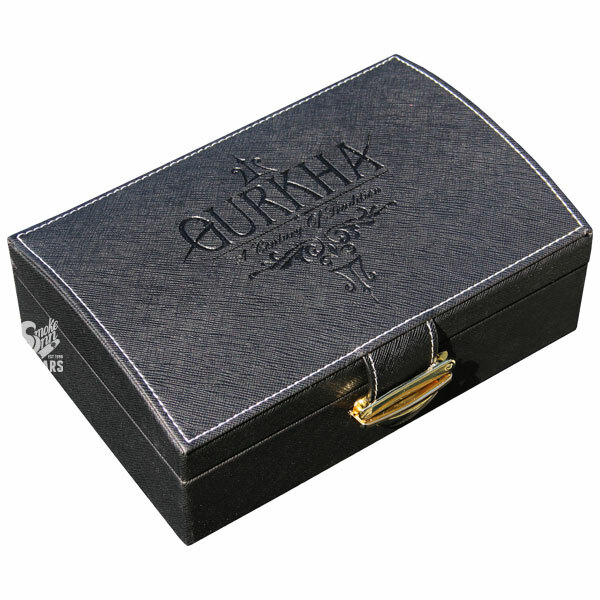 Gurkha Cigars is known for their ornate and luxurious packaging, displaying premium cigars that often fall within the medium to full-bodied range. But for Gurkha Royal Challenge, the machete-wielding company (technically it’s a khukuri) pulled back the reins, introducing one of their softest, most delicate blends to date. When introduced in 2011, Royal Challenge marked the return to Gurkha’s signature, opulent displays; showcasing two rows of ten, Ecuadorian Connecticut-wrapped cigars; having a golden hue that is amplified by the box’s interior display of intricately woven gold foil. It’s no wonder the Royal Challenge became the winner of the 2012 SAPPI European Printing Awards. But the appearance only sets the stage for the smoking experience to follow. Royale Challenge balances its suede-like, supple wrapper with a Honduran Habano binder and long fillers of Nicaragua and Dominican origins. The resulting blend produces a silky smooth smoke texture, offering delicate notes of fresh-cut cedar, vanilla bean, unsalted butter, chamomile tea, and a touch of spice for balance.